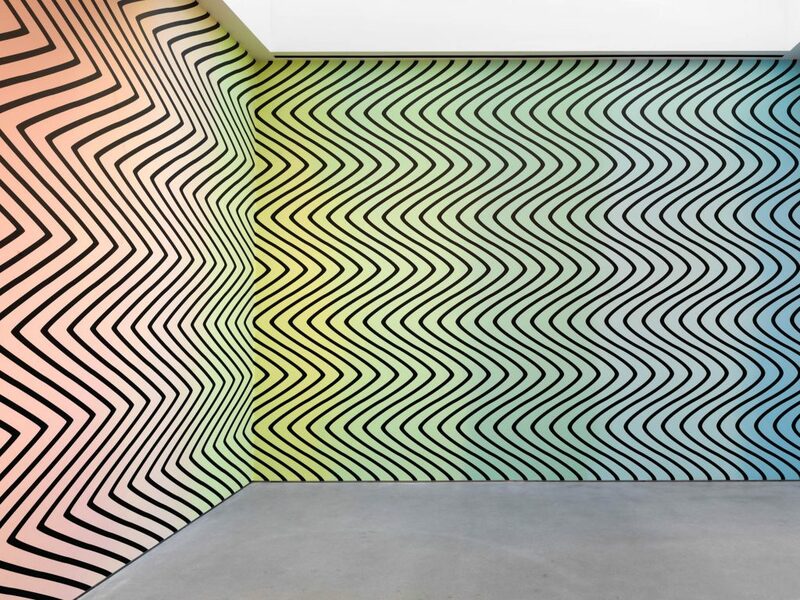 Prolific Swiss artist Claudia Comte is currently exhibiting striking new wall paintings in her show The Morphing Scallops, devoted solely to her painting and drawing practice. Running until February 16 at the Gladstone Gallery in New York, the art transforms the gallery space into a striking work of ever ever-morphing, syncopations of contour and form created to echo the ancient art of cave paintings and drawings, at the same time reflecting the conventions of the digital age. Squares, circles, golden sections, fractals rhythms and algorithms interact and synthesise, using a language of both mathematics and universal consciousness. 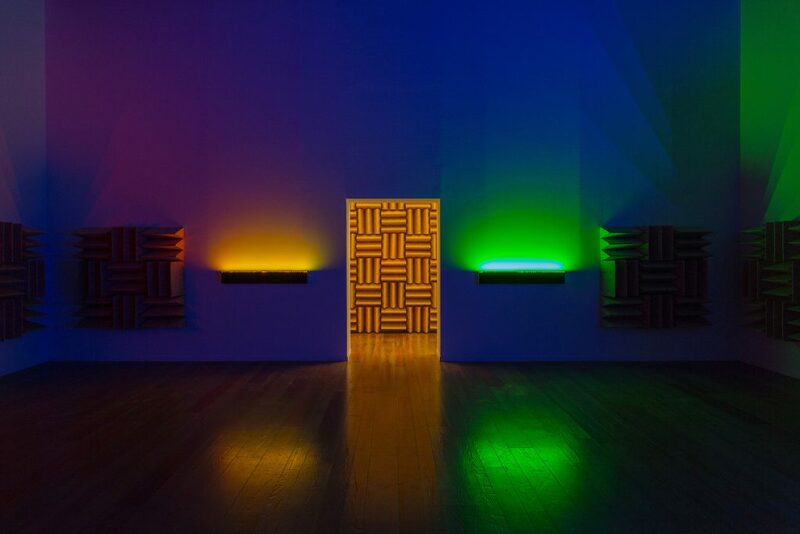 Reality Is Somehow What We Expect It To Be is the most comprehensive exhibition of work by British artist Haroon Mirza in the UK to date. Filling Birmingham’s Ikon exhibition spaces until February 24, it comprises moving imagery, sculptural installation and electronic sound. Involving smart sampling, sometimes through collaboration with other artists, Mirza’s practice overall is characterised by a knowing eclecticism and sheer physical impact. His misunderstanding of the nature of human perception – of what and how we see and hear – is demonstrated and combined with countless possibilities of meaning. His aesthetic proposition is more to do with messages received than those transmitted, circumscribed by our constitutions, testing the limits of what we can experience and what we think we know. The exhibition is worth a trip to Birmingham, where you’ll also get to see the magnificent neo-gothic school building that the Ikon calls home. An educational charity, it works to encourage public engagement with free exhibitions of contemporary art in a context of debate and participation. See more through less at the first Minimalism exhibition in Southeast Asia, set across two sites: National Gallery Singapore and the ArtScience Museum. 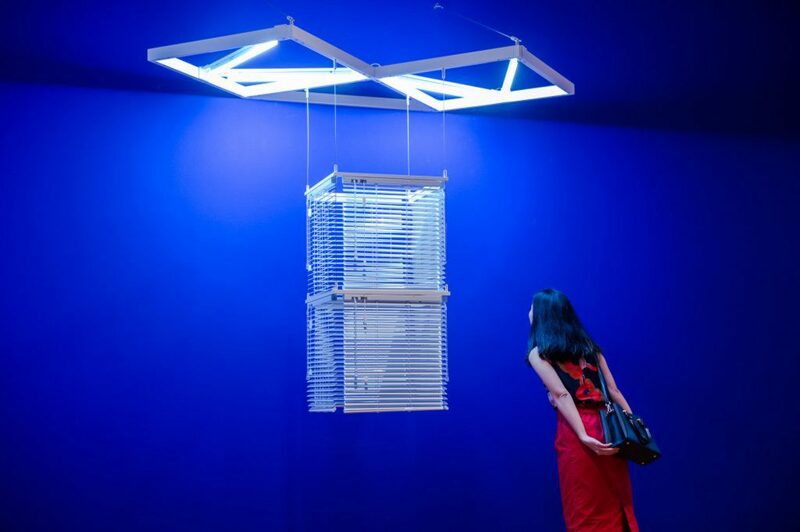 Running until April 14, 2019, there are more than 150 artworks on display at both venues featuring artists such as Mark Rothko, Tatsuo Miyajima, Donald Judd, Anish Kapoor, Ai Weiwei, Mona Hatoum, Kim Lim, Tang Da Wu, and Jeremy Sharma and Lee Ufan. Minimalism commonly refers to an artistic tendency that came to prominence in 1960s New York. It is characterised by geometric forms, which are often repeated in series, as well as by its use of industrial processes and materials. By paring artworks down to their most essential elements, Minimalist artists strip away individual expression and artistic decision-making and create a direct, unmediated encounter between the viewer and the art object in a specific space and time.